Creating an online store can be quite difficult. It requires many security features, a product selection, shopping cart, country tax policies, customizable shipping fees, secure checkout feature that links to paypal, credit card, google checkout or any other online payment services, allow users to sign in and view orders, track shipment etc. But with WordPress and Joomla themes this is really easy. There are so many WordPress themes or Joomla component functionality that will help you create an online store in minutes. All you have to do is add your products and configure your options on your online store. Below is a collection of ecommerce themes that will help you create your online store. This is a dynamic list, so it will always be updated. StartingUp is an eCommerce Portfolio WordPress theme by WPZoom. This is a theme packed full of features ready to transform your site into a Portfolio online store. Wordpress is very easy to use and all you have to do is upload, install and activate this theme. No programming knowledge is required and all features are already in your theme so you don’t have to download any plugins to get all the features. With Startingup, you will have scrolling featured slider, call to action buttons, contact form, pricing tables, section to display testimonials, portfolio gallery with filtering options, SEO optimized, social media integrated and more. Click here to see more features of StartingUp WordPress Theme. StartingUp is a fully responsive theme and dynamically wraps your portfolio site according to the viewing device width. You can test the responsive feature by checking out the demo and resizing the window. StartingUp has an extensive control panel where you can customize your logo, colours and fonts of your site. You can use the built-in portfolio module to easily show off your work, photos, videos and more. You can also further extend this theme with the ZOOM builder so you can drag and drop modules to create your homepage. It allows you to build complex page layouts without any programming knowledge. You can also use the WooCommerce plugin to change your portfolio site into an online store so you can sell your photos online. WooCommerce has all the functionality to manage your store including inventory, payment, report, shipping and email management. Custom page template – Full width, about, shop, gallery etc. Custom shortcodes – Like buttons, icons, columns, tabs, alerts etc. 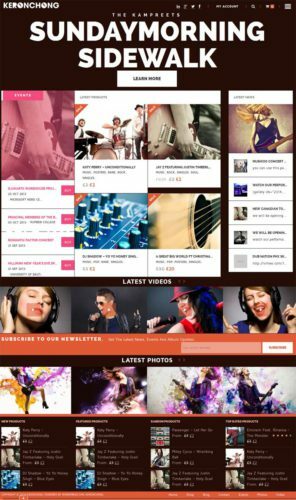 Keronchong is a music band and music store WordPress Theme by Tokokoo Themes. It is a clean, minimalistic and single page theme. You can easily create your own music store to sell festival tickets, music band memorabilia, music products, music cds with the WooCommerce plugin. At the top of your music band site you can put customize your background with a scrolling full screen image. Your navigation and images are on top of your background image. As visitors scroll down your site you can see upcoming events, music ticket prices and when hovered over have cool effects, latest music videos, latest music band photos, top rated products, featured products, on sale products, recent product reviews and more. Click here to see more features of Keronchong WordPress Theme. KeronChong is a fully responsive theme which is perfect for music lovers who visit your site with their smartphone or tablet devices. The navigation, pictures, audio features, content, all with auto resize dynamically to fit the width of the screen. You can test out the responsiveness by checking out the demo above. You can watch the features wrap as you resize the window of the demo screen. Pretty cool right? Other features include a ratings & reviews feature, WooCommerce enabled, short codes, SEO optimized, and more. You don’t need any programming knowledge when you use KeronChong WordPress theme to create your own music band or music festival website. Umami is a unique and elegant restaurant wordpress Theme. The demo shows a japanese sushi restaurant site but can be used for any cultural restaurant. The highlight of Umami WordPress Theme is that it allows you to upload a full screen image for the background and it will scroll through all your images. Other features include an extensive menu where you can easily add your food items. You can easily upload thumbnail images and which opens a lightbox gallery when the menu items are clicked. You can easily display the menu items you want by using short codes, and page templates. 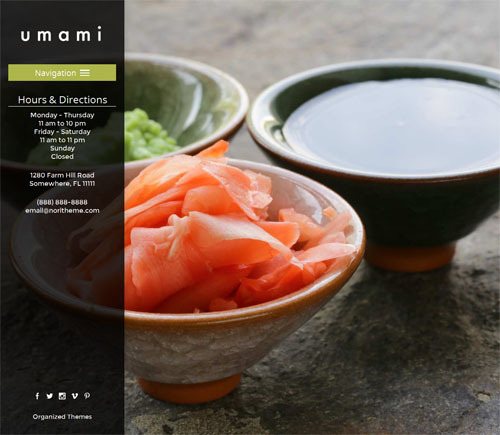 Umami is a great Restaurant template to create your own restaurant website. Click here to see more features of Umami WordPress Theme. Umami is a fully responsive theme. That means the content and features of your restaurant website will dynamically wrap to fit the viewing screen. You can test the responsiveness of the theme by checking out the demo and resizing the window. This is a great feature because most of your traffic will be viewing your restaurant site from an iPhone, smartphone or tablet. Also, along the left navigation you can easily display your restaurant opening hours, address, and contact information. 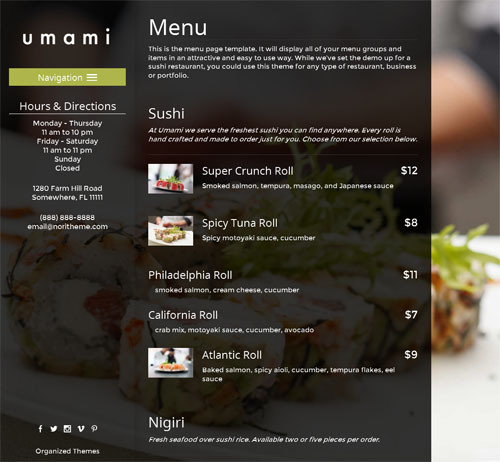 Umami also has WooCommerce integrated where people can purchase your food online if you want to have a take out or pickup menu as well. You can easily create a pizza restaurant site, fast food site, take out food site, mexican food site, fine dining site, japanese restaurant site and more. Full-Screen DesignUse an full screen image or slideshow for your background. uilt in image lightbox with 10 styles. Cross-browser tested in Chrome, Firefox, Safari and IE 9+Localized for translation. Parallax Event WordPress Theme by Themify is a theme that is bold, fluid, and responsive. Built for music, event, and entertainment sites, Event comes with three custom post types specifically built for the event theme: Event, Gallery, and Video posts. Create complex page layouts with parallax scrolling and animation effects from scratch, in minutes, show casing your upcoming Events, and showing off photos and videos of past events. This is the perfect WordPress theme for bands, nightclubs, restaurants, bars and music festivals. Click here to see more feature of Parallax Events WordPress Theme. Each event page has it’s own photo gallery and events details. You can use google maps to show the exact location of your event, display event date, time, place, buy tickets, social media icons to allow people to immediately share or like the event on their Facebook or Twitter accounts. Additional widgets allow visitors to see upcoming events, past events, recent posts and more. Event WordPress Theme is built with powerful Themify builder. It is an easy to use drag & drop framework that offers front end customization with live preview. Event gallery to present beautiful photographs of your events. Show them in nice 2,3 and 4 column grid layout. Theme is packed with 14 various colors and preset designs to select. Marble is a flat and responsive photography template designed to WOW your visitors. It has a grid layout which fancy hover over effects. When a user clicks on an image in your grid layout, a full version of the image slides from the right with the full description. You can list the photo’s client, date taken, URL, Pinterest icon, Google+ icon and other social sharing icons to share the photo. Marble Photography WordPress Theme is useful for artists, photographers, creative agencies, digital studios, personal freelancers, or a Business website that wants to showcase a portfolio like interior designers or furniture stores. You don’t need any programming knowledge to create your own Photography website because Marble has an advanced control panel where you can customize colours, backgrounds, logo, headings, upload images, upload videos, create posts, change menus with just a click of a button. Click here to see more features of Marble Photography Template. Marble is a fully responsive theme. Responsive feature is catered directly to your visitors who use a smartphone or tablet to view your photography website. It kicks into action to resize and wrap images and content to fit the viewing screen. You can test the responsiveness by checking out the demo and resizing the window smaller and larger. Other features of Marble include retina-ready, WooCommerce enabled to create an online store, Easily sell physical and digital goods, Twitter Bootstrap, Revolution slider, 6 homepage layouts, SEO optimized, social sharing icons, easily upload images and videos, flat design and more. Below are more features of Marble Photography Template. Innovax is a multi-purpose WordPress Theme. It is extremely flexible to create any type of Website you require. Primarily Innovax can be used to create a professional Business or Corporate website. Since Innovax is also WooCommerce enabled, it has the capability to transform into an online store as well. On your front homepage, you can have a professional business site and have a menu link linking to your online store where you can sell digital or physical products. The front homepage has a featured image slider called the Slider Revolution valued at $15 and it’s included for free in this theme. The slider is great because you can instantly showcase photos of your business site, portfolios, best selling products, latest news images and more. Innovax has an awesome design and has unlimited styles and colours. You don’t need any programming knowledge because Innovax has an advanced control panel where you can customize your business website as you wish. Click here to see more features of Innovax Business Portfolio and Ecommerce Template. Innovax is WooCommerce enabled which means you have the capability to transform your website into an online store. WooCommerce is a free plugin from WooThemes and has all the functionality you require to sell physical or digital products directly from your website. With WooCommerce you can manage products, inventory, shipping, tax, payment gateways, invoices, pricing, coupons, reporting and more. Other features of Innovax include responsive design, Flex slider, 10 skins, unlimited colours, shortcodes, page templates, and more. Below are more features of Innovax Business Portfolio WordPress Theme. FlatShop is a premium WordPress theme that is designed to help you create a unique online store. If you don’t want to list a whole store full of products, you can list a limited number of items in a full width format. As your visitors scroll down your store they will experience your fly in fly out parallax animations, immediate add to cart button, view more product information, view shopping cart, checkout and pay, Google maps location, and a form to contact you. There is no other eCommerce template like this out there. I love that FlatShop has a modern, minimal and professional feel to it. You don’t need any programming knowledge to create your online store with FlatShop because Themify has a powerful admin control panel where you can drag and drop elements into your homepage and make it your own. Easily customize your eCommerce website and use FlatShop to create your online store. Click here to see more features of FlatShop Ecommerce Template. FlatShop is WooCommerce enabled so that means you have the best eCommerce tools available to you. WooCommerce has all the functionality to manage products, inventory, shipping, payment gateways, email communications, invoicing, reporting, pricing and tax calculations. WooCommerce is a completely free plugin available at WooThemes. Flatshop is also a responsive theme which allows visitors using mobile or smartphone devices to view your online store without having to zoom and scroll left and right. Content will automatically wrap to fit their viewing screen. Other features of FlatShop include page templates, infinite scrolling, different page layouts, drag and drop layout builder, different colour schemes and more. Below are more features of FlatShop eCommerce Template. Works in all Web browsers – Chrome, Firefox, Opera etc. FrontPage is a magazine & online store WordPress Theme. The magazine portion is a content heavy with a thumbnail slider to featured articles. FrontPage is a busy theme with images and content in every location, there is a scrolling featured article, thumbnail links to featured articles, random articles, featured category articles, and popular articles, latest posts, and featured posts. FrontPage is extremely flexible because it comes with 6 different homepage layouts which you can choose from the backend admin control panel. You can easily create an online store to sell digital and physical products as well because FrontPage is WooCommerce enabled. WooCommerce has the capability to transform your site into a fully functional online store with control and management of products, inventory, shipping, reporting, payment gateways, email notifications and more. 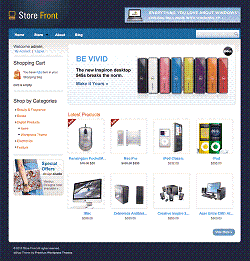 Click here to see more features of FrontPage Magazine & Online Store WordPress Theme. FrontPage is a fully responsive theme which means the content, slider and images auto resize to fit the width of your site. You can test the responsive feature simply by checking out the demo. 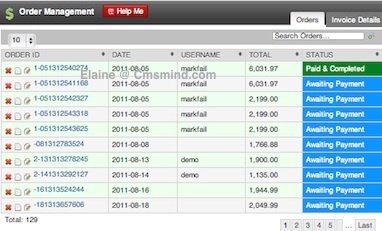 Resize the window of the demo smaller and larger and you will see the responsive feature at work. Responsive feature is useful when visitors view your site on a smartphone or tablet device and the window is a lot smaller. Content will still be visible without them having to squint, zoom and scroll left and right. Other features of FrontPage are WooCommerce enabled, SEO optimized, Social sharing icons, Adsense optimized, tons of banner space to make money, unlimited colours, advanced control panel to customize your site and more. Below are more features of FrontPage Magazine & Online store WordPress Theme. Showcase Theme is a great theme for displaying your artwork and videos in a minimal layout. The minimal design allows your visitors to focus on your arts and digital designs without any distraction. 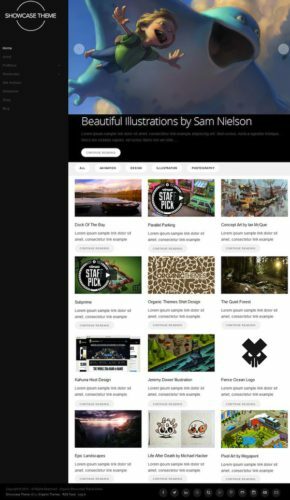 Since Showcase theme is also WooCommerce enabled, you can create an online store to sell your digital art work or digital designs. This is an ideal solution for artists, designers, photographers, animators and those who want to sell their work online. WooCommerce is a powerful free Ecommerce plugin that is used to create your online store. With WooCommerce you can sell digital or online products and manage all aspects relating to an online store. With WooCommerce you can manage your products, inventory, sales, shipping, payment gateways, email communications, and more. Click here to see more features of Showcase Theme to create your online portfolio store. Showcase Theme is fully responsive which allows your audience to view your online portfolio store on their smartphone or tablet device. Responsive design means that the content will automatically wrap to fit the width of the viewing screen. So you can play with the demo, resize the window smaller and larger and you will see what I mean. You don’t need any programming knowledge to create your own online portfolio store because Showcase theme has an advanced control panel where you can customize anything you want in your portfolio site. Features of Showcase theme also include showcase videos and images, filterable portfolio, unlimited categories, shortcodes, social sharing icons, social media integrated, and more. Below are more features of Online Portfolio Store. Business Theme is a professional and elegant WordPress theme to help you create your online presence. You don’t need to hire a contractor and spend thousands of dollars to create your corporate website because WordPress and WordPress Themes can do the job for you. Business theme features a clean and corporate design perfect for companies. It has a scrolling featured slider where you can showcase your best products, photos of your products in the field, and showcase some of the work you’ve done in the past. Below that you can add a link to your business portfolio, your amazing team members/employees, latest projects your business is working on, contact form for potential clients to reach you, social sharing icons so clients can connect with you via Facebook, Twitter, Linkedin and more. Most corporation websites have a careers page, and now you can create a page for post all the job openings in your company as well. Business Theme is also WooCommerce enabled which means you can create an online store to see digital or physical products. You don’t need any programming knowledge. Business Theme is completely intuitive with an advanced control panel where you can customize any part of your website easily. Click here to see more features of Business Theme. Business Theme is a fully responsive theme which means your website will mold perfectly into any smarthpone or tablet device. You can test the responsiveness by checking out the demo. In the demo, resize the window smaller and larger and you will see the content of your Business site wrap to fit the width of the screen. That’s what a responsive design should do. Other features of Business Theme is you can upload videos, display videos on the featured slider, unlimited colour options, unlimited backgrounds, social media integrated, WooCommerce enabled, Google fonts, and more. Below are more features of Business Theme. SaleJunction by InkThemes is an elegant and professional online store WordPress Theme. It’s ready out of the box to help you sell your products. At the top of the site there is a full width slider where you can promote your hottest or newest products in your store. Below the slider there is a section where you can list your sale items along with a thumbnail, price and short description. The selection is filterable and doesn’t require a reload of the page which makes your site run faster. Visitors can easily switch from category to category without having to reload the page and see all the sale or hot items on your site. SaleJunction is WooCommerce enabled which means you have access to a powerful eCommerce plugin which transforms your site into an online store. You will have access to tooks to manage your inventory, products, sales, invoices, shipping, payment gateways, communication, coupons, reports and more. With SaleJunction and WooCommerce you can sell digital or physical products in your store. You can create a store to sell shoes, clothing, sunglasses, electronics, phones, flower shop, music download store, movie download store, online book store, and tons more. Click here to see more features of SaleJunction Online Store WordPress Theme. SaleJuntion is a fully responsive theme which means your online store will look great on any viewing platform. If you try the demo you can play around with the size of the window. As you make the window smaller you will see that content of the store will wrap to fit everything on the screen. Once you make the window larger, the content will continue to unwrap and fill the width of the screen. 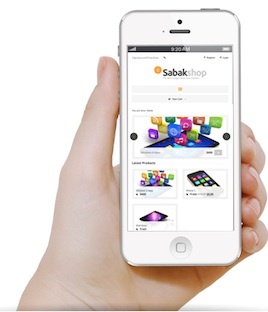 That way your online store will look great on any mobile, smartphone or tablet device. Other features of SaleJunction include no programming knowledge required, users can rate and review products, typography, shortcodes, widgetized footer and sidebars, social media integrated, social media icons, full width slider, page templates, unlimited color options, easily customize header and logo, and more. Below are more features of SaleJunction Online Store and WooCommerce Ready WordPress Theme. Easily navigate and view products. Feature area on home page to showcase your services. Widgetized footer area and sidebar. Various Page Templates like Gallery, Page with Sidebar, Fullwidth Page available. Display links to your social networks. WooCommerce ready includes management of products, inventory, sales, invoices, shipping, tax rates, payment gateways, reports, shopping cart, and more. Gather is a minimalistic and fully responsive WordPress Theme designed to help you create an online store. At the same time you can show off your work, portfolio and also maintain a blog. Creating a store is the easy part, getting traffic and sales is hard. Adding pictures to your portfolio and blogging about your featured products in a blog can help you grab that traffic you need to sell your products in your online store. Gather is WooCommerce ready which allows you to install the best ecommerce plugin out there. WooCommerce plugin comes fully packaged with all the online store requirements you need. It includes product management, inventory management, shipping management, payment gateway management, reports, generating invoices, create communication emails to customers, coupon management and more. Easily create a store to sell digital and physical products without any programming knowledge. 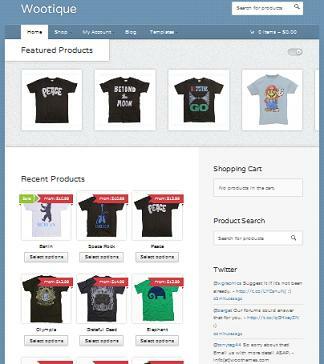 Click here to see more features of Gather Online Store WooCommerce Template. 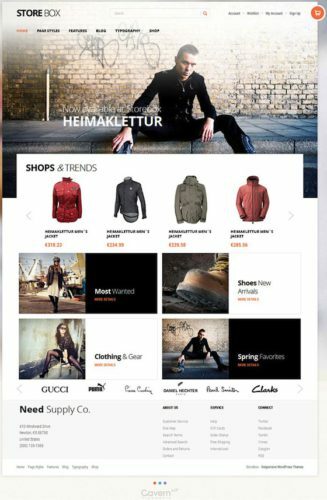 Gather has a fully responsive design so visitors can view your online store on their mobile or tablet device easily. You can see what responsive design means when you check out the demo and resize the window. When you view the store demo, drag the window size smaller and larger and you will see the content auto wrap to fit the screen width. Gather online store features WooCommerce enabled, page templates, Google Fonts, unlimited colour options, portfolio page, social media integrated, touch enabled slider on homepage, shopping cart, customers can rate and review products, social media integrated and more. Below are more features of Gather Online Store WooCommerce Template. Bike Store is a responsive and elegant Ecommerce WordPress Theme all ready to help you create your own online store. The best feature about this theme is that it is WooCommerce enabled. WooCommerce is a free plugin which allows you to transform your Bike Store into a full fledged online store. It comes complete with shipping management, product management, inventory management, payment gateway management, tax management, allow users to track orders, shopping cart, product images, sales reports and more. 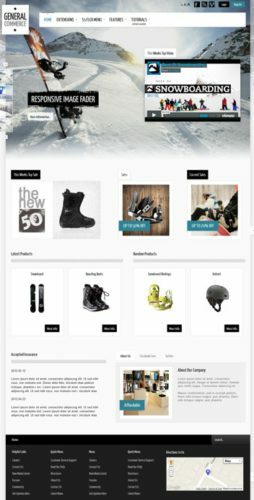 You can use the Bike Store WooCommerce WordPress theme to create any type of online store you want to sell physical and digital products. You can create a clothing store, bike store, electronics store, shoe store, hat store, glasses store, Music download store, movie download store and more. Click here to see more features of Bike Store WooCommerce WordPress Theme. 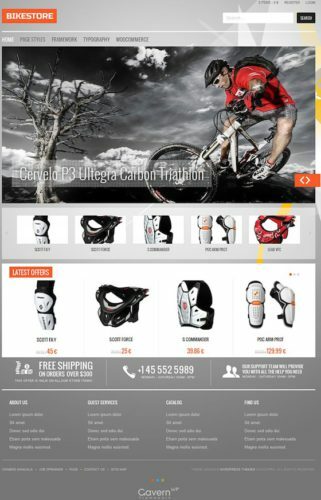 Bike Store is a fully responsive theme which allows visitors to purchase items directly from their iPad, iPhone, other smartphone or tablet devices. The content auto wraps to the screen so visitors can easily browse through your site for items without having to zoom in and out to see your products. You can test out the responsiveness by playing around with the demo. When you are viewing the demo store, resize the window and you will see the content wrap down and up to compensate for the window size. Other features of the online store are WooCommerce enabled, typography, featured product slider, shopping cart, built in widgets, social media integrated, social media icons – Facebook, Twitter, Linkedin, stylish way to display products, quick start package to help you get your store up faster, no programming knowledge required, 8 custom page templates, and more. Below are more features of Bike Store. Shop & Buy is a sleek, modern and sophisticated online store WordPress template perfect for you to build a successful online store. it’s a light weight, simple, well designed and minimalistic theme that is prefect to draw attention to your products. I love the scrolling featured products at the top of the website which showcases your best selling or new products you have in the store. Shop & Buy is WooCommerce enabled which is a free plugin from WooThemes. WooCommerce is fully equipped to transform your website into a fully functioning ecommerce site. WooCommerce has product management, inventory management, shipping management, payment gateway management, low inventory alerts, shopping cart, sales reports, invoice management and more. You can use Shop & Buy to sell digital products or physical goods. Easily create a store to sell sunglasses, sell electronics, online shoe store, online clothing store, digital download store, hat store, flower shop, services store and more. Click here to see features of Shop & Buy online store WordPress Template. Shop & Buy is a fully responsive WordPress theme which means your online store will look professional and elegant on any viewing platform. 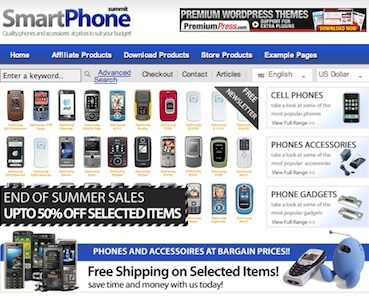 A rich set of features, that are sure to benefit your online store, are available within this up-to-date theme: two menu types – the brand new overlay menu as well as the standard one, fancy price table, twelve background patterns, 6 colour styles, shortcodes, typography, pricing tables, shopping cart, WooCommerce enabled and more. Below are more features of Shop & Buy. StoreBox is an e-Commerce WordPress theme to help you create a successful online store. You can create your professional online store with no programming knowledge at all. Convince your customers to purchase products by making your checkout process simple and easy with WooCommerce. WooCommerce is a free plugin that handles the store front and also takes care of you as the store manager. WooCommerce has built in a Inventory Manager, Sales Manager, Shipping Manager, Payment Gateway manager, Product manager, Reporting system and more. Storebox’s responsive design will make your site more attractive and useable on any device platform. Storebox will create an outstanding store experience and help you achieve success in your online store. You can easily sell digital and physical products and create an online store like a clothing store, shoe store, jewellery store, flower shop, music download store, game download store, electronics store, baby store and more. Click here to see more features of Storebox Ecommerce WordPress Theme. Storebox features a responsive design so the content on your store will automatically wrap to the viewing screen. You can see what I mean by simply checking out the demo. When you view the demo, resize the screen and you will see the content automatically wrap to fit the width. Play around, like me and resize big and small, the content will wrap but the font size will not shrink. This is the same as on an iPad or any tablet or smartphone device. 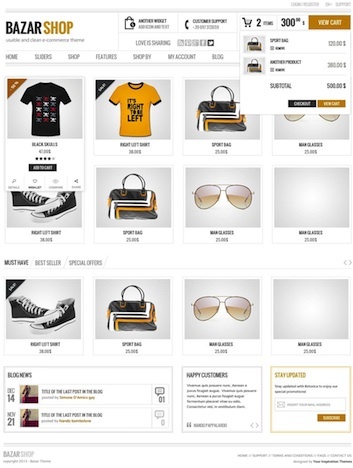 Other features of Storebox include Gavern Framework, typography, shortcodes, social media integrated, scrolling featured images, floating shopping cart icon, reviews, customer comments, widget areas, gallery pages, full width pages, multiple post formats, display related products and more. Below are more features of Storebox WordPress Theme. WP-Shopkeeper is fully responsive online store wordpress theme that you can use to create any type of store. This theme is WooCommerce integrated you can easily setup an eCommerce site, online store or a store portal. The WooCommerce plugin allows you to sell digital products, physical products, services, and downloadable products. You don’t need any programming knowledge to create a video store, shoe store, clothing store, flower shop, electronics store, bags boutique, music download store, and more. Click here to see more features of WP-Shopkeeper eCommerce Template. WP-Shopkeeper has many features including a responsive design to allow users with mobile devices to read your site more easily. You can see what a “responsive design” means by checking out the demo and resizing your window. When you resize the window, you will see the content auto wrap to fit the screen. This is what happens when visitors view your store on a smartphone or tablet device. Other features include featured post slider, WooCommerce enabled, page templates, social media icons, social media integrated, ad monetized, banner locations, subscriptions form and more. Below is a list of all the features available in WP-Shopkeeper Ecommerce Template. Cost to create a magazine online store with WordPress themes is less than $100. You do not need any programming knowledge and you should have your site up in a day to start adding content. There is tons of support from MyThemeShop to help you get your online store started. Repose is a flexible, multi-format WordPress theme that is perfect for blogs, businesses, news portals and shops. With a fully customizable color scheme, Repose is WooCommerce ready and loaded with video post format to help you build your site quickly and easily. You can easily create a magazine or news website with Repose and have a link to your online store front as shown in the demo. 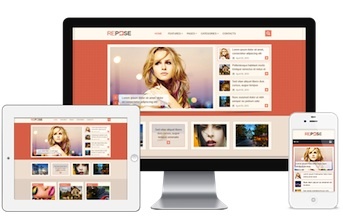 Click here to see more features of Repose Magazine & Ecommerce WordPress Theme. You can see that the magazine or news layout side of Respose has many features including a scrolling featured article, Featured thumbnails and links to articles, tons of banner space for advertisements, easily link to videos like vimeo, shortcodes, Social media icons, social media integrated, responsive design and tons more. The Ecommerce side has WooCommerce to back it up so it has all the Product, Inventory, Sales, Reporting, Order, Shipping management tools. It also has ratings & reviews available for products that you have for sale. 1. $56 for Webhosting. To create your own Magazine & Online store Website, you will first need a domain name. That’s why I recommend Fatcow.com. When you purchase web hosting from Fatcow, you get a free domain name. Along with that you also get unlimited email, disk space, bandwidth, MySQL databases, host unlimited domains and more. Click here to immediately save 40% off at Fatcow.com. 2. $0 for WordPress. Wordpress is completely free open source platform. Fatcow has one click installs for WordPress and if you use that to install WordPress, you will have WordPress installed in minutes. You do not need any programming knowledge. 3. $35 for Wordpress Theme. This is a one time fee to purchase Repose from MyThemeShop. Once you download the theme it totally belongs to you. There are no membership fees, no subscription fees and no hidden fees. 4. -$175 in Advertising Credits. If you purchase your webhosting from Fatcow.com you get free $175 worth of advertising credits. Fatcow.com understands it’s difficult to advertise your Magazine & online store website and so they give you free advertising credits, this includes $100 for Google Adwords, $50 Facebook ads, and $25 for Yahoo/Bing. So you actually don’t pay anything to startup a Magazine & Ecommerce online store website. Cost to create an online store by yourself is less than $100. I’ve included the cost breakdown below. Hudson is a Premium eCommerce WordPress Theme with minimalist, modern, clean design and a complete set of eCommerce features to help you easily manage your online store. It is compatible with WooCommece – the most popular eCommerce plugin for WordPress and has everything you need to set up and run a successful eCommerce website. Hudson WordPress Theme looks almost like an online shoe store like Zappos.com. You can add a scrolling featured product slider, product special offers, search with advance filters, view individual products, add image gallery for each product, enable product zoom feature, see what products other people also viewed after viewing this item (like amazon.com), product descriptions, product ratings & reviews, easy add to cart feature, google maps integrated, built in shortcodes, custom posts, social media icons, social media integrated and more. Hudson features all WooCommerce features for products, orders, shipping, reporting, sales and inventory management. Click here to see more features of Hudson WordPress Theme. You can easily use Hudson WordPress Theme to create your own online store. Wordpress and WordPress Themes do not require any programming knowledge because it works just like an application. All you need to do it install, and activate the theme. Then you can start adding your products and customizing your site. You can create an online store for shoes, clothes, accessories, electronics, children’s store, sports store and more. Another bonus is that Hudson is powered by Tesla Framework, a powerful administration tool that comprises all our great features and allows you to easily customize the look and functionality of your theme. It gives you the possibility to customize and manage your theme settings from a dedicated area within your WordPress Admin. 1. $56 for Webhosting. To create your own online store Website, you will first need a domain name. That’s why I recommend Fatcow.com. When you purchase web hosting from Fatcow, you get a free domain name. Along with that you also get unlimited email, disk space, bandwidth, MySQL databases, host unlimited domains and more. Click here to immediately save 40% off at Fatcow.com. 3. $35 for Wordpress Theme. This is a one time fee to purchase Hudson from TelsaThemes. Once you download the theme it totally belongs to you. There are no membership fees, no subscription fees and no hidden fees. 4. -$175 in Advertising Credits. If you purchase your webhosting from Fatcow.com you get free $175 worth of advertising credits. Fatcow.com understands it’s difficult to advertise your online store website and so they give you free advertising credits, this includes $100 for Google Adwords, $50 Facebook ads, and $25 for Yahoo/Bing. So you actually don’t pay anything to startup a Ecommerce online store website. Finally a WordPress Theme that combines elegance with a magazine layout and also incorporates an online store. All these elements might be cluttered in a normal wordpress theme, but MyThemeShop designs Clock WordPress Theme focusing on legibility, readability, and ease of use. Clock requires no coding or programming knowledge and you can easily create your own Magazine / Online store all with a few clicks of your mouse. Clock is fully responsive, so users on any device can access your site and be greeted with the proper user experience, and it’s hand-coded with HTML5 and CSS3 so you can be ready for the next generation of the web. 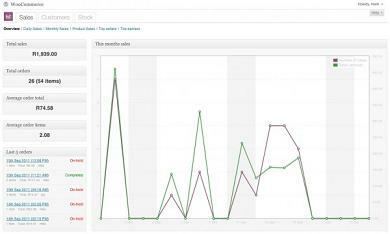 It includes the best optimizations including SEO and Adsense optimization, so you will get more search traffic and earn more revenue without having to lift a finger. 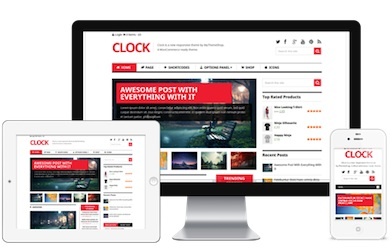 Click here to see more features of Clock WordPress Theme. Clock WordPress Theme also features custom widgets and shortcodes, lightbox and more than 350 font icons, so you don’t have to tinker with tons of third party plugins. The online store has a full online store experience complete with a shopping cart, view your cart, product management, invoice management, shipping management, customer management, ratings & reviews of products. Everything works out of the box and you can easily setup and configure your theme with our options panel. Clock is everything you need to make your online business successful. 1. $56 for Webhosting. To create your own Magazine Website, you will first need a domain name. That’s why I recommend Fatcow.com. When you purchase web hosting from Fatcow, you get a free domain name. Along with that you also get unlimited email, disk space, bandwidth, MySQL databases, host unlimited domains and more. Click here to immediately save 40% off at Fatcow.com. 3. $35 for Wordpress Theme. This is a one time fee to buy Clock from MyThemeShop. After you purchase the theme it totally belongs to you. There are no hidden fees, no subscription fees and no membership fees. 4. -$175 in Advertising Credits. If you purchase your webhosting from Fatcow.com you get free $175 worth of advertising credits. Fatcow.com understands it’s difficult to advertise your Magazine site and so they give you free advertising credits, this includes $100 for Google Adwords, $50 Facebook ads, and $25 for Yahoo/Bing. So you actually don’t pay anything to startup a Magazine Website. 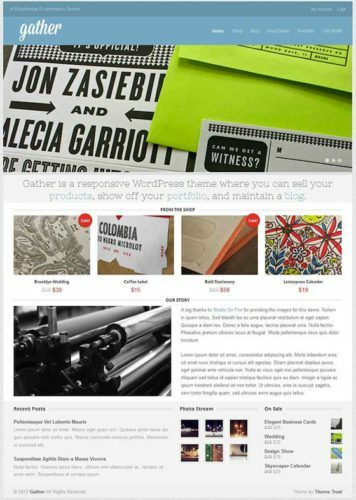 UltraSeven is an Ecommerce WordPress Theme that is created by CssIgniter. You can create an online store with WordPress and it will cost less than $100. I’ve included the cost breakdown below. UltraSeven’s clean and minimal design is appropriate enough to be used for just about any product type, be it a clothes store, flower shop, shoe store, jewellery shop, watch store, book store, electronics or digital goods store. UltraSeven features include 10 predefined color schemes, revolution slider, WooCommerce ecommerce functionalities, scrolling featured banners, shopping cart, thumbnail image flipping, unlimited templates, theme options, tons of shortcodes, no need for programming knowledge and tons more. Click here to see more features of UltraSeven Ecommerce WordPress Theme. 3. $39 for Wordpress Theme. This is a one time fee to UltraSeven by CssIgniter. Once you download the theme it totally belongs to you. There are no membership fees, no hidden fees and no subscription fees. So you actually don’t pay anything to startup a Online Store Website. 50% off Fatcow Webhosting = $49/year. Click here to see more details. Cost to make an online store and business portfolio with WordPress is less than $100. I’ve listed the cost breakdown below. Sabak is a dynamic and crisp WooCommerce theme designed with awesome multipurpose features. Not only can you run your online store on Sabak, you can also display your portfolio and catalog to enhance your store brand. Use the online Shop to sell your products directly on the website, the Portfolio to showcase your best works, and your Blog to communicate with the customers directly on a daily basis. Also update your product Catalog to display your products or samples that are not available to be purchased online but are to be purchased in store or other methods. Sabak is a fully responsive theme which enables your online store and product portfolio to display beautifully on any mobile device or tablet. Click here to see more features of Sabak Online Store WordPress Theme from Tokokoo. 1. $56 for Webhosting. To create your an Online Store Website, you will first need a domain name. That’s why I recommend Fatcow.com. When you purchase web hosting from Fatcow, you get a free domain name. Along with that you also get unlimited email, disk space, bandwidth, MySQL databases, host unlimited domains and more. Click here to immediately save 40% off at Fatcow.com. 3. 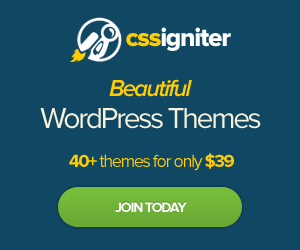 $39 for Wordpress Theme. This is a one time fee to purchase Sabak from Tokokoo. Once you download this theme it totally belongs to you. There are no membership fees, no hidden fees, no subscription fees. 4. -$175 in Advertising Credits. If you purchase your webhosting from Fatcow.com you get free $175 worth of advertising credits. Fatcow.com understands it’s difficult to advertise an Online Store Site and so they give you free advertising credits, this includes $100 for Google Adwords, $50 Facebook ads, and $25 for Yahoo/Bing. So you actually don’t pay anything to startup an Online Store Business Website. Bazar is a fresh and creative theme that utilises the powerful Woo Commerce plugin to create a very versatile WordPress powered online shop. I highly recommend WordPress because it is easy to install, easy to maintain, easy to add new products, easy to upload and install and new WordPress Theme. It will cost you less than $100 to create your Ecommerce Website and I’ve listed the cost breakdown below. Once you install and activate Bazar WordPress Theme and install the WooCommerce plugin it will instantly transform your website into an online ecommerce website. You do not need to know any programming knowledge. You will have your online store framework up and running and ready for you to start customizing and adding products. Bazar WordPress Theme features responsive design, create a wishlist, compare product feature, online shopping cart, social networking integrated, advanced search and tons more. Click here to see more features of Bazar. 3. $60 for Wordpress Theme. This is a one time fee to purchase Bazar WordPress Theme from Themeforest. After you download the theme, it totally belongs to you. There are no subscription fees, no membership fees and no hidden fees. 4. -$175 in Advertising Credits. If you purchase your webhosting from Fatcow.com you get free $175 worth of advertising credits. Fatcow.com understands it’s difficult to advertise your Online Store Site and so they give you free advertising credits, this includes $100 for Google Adwords, $50 Facebook ads, and $25 for Yahoo/Bing. So you actually don’t pay anything to startup your Online Store Website. This is a great WordPress Theme to create a professional and fully featured online store. This by far is the best Online store WordPress Theme I’ve come across. Bazar is extremely versatile, customizable frontpage, customers can create a wish list, compare products and share with friends products they find on your site. This ecommerce WordPress Theme is so advanced that you can also create different variations of the product and upload images to show each variation of the product. I love also that customers can search for products via different filtering methods such as by price, category or brands. You can also display scrolling testimonials, scrolling featured products, display similar products, upload different ribbons to attach to the corner of the product to say if the product is on sale. I totally love this WordPress Theme and highly recommed it if you want to create your own online store. Cost to build your own bakery online store with WordPress is less than $100. I’ve listed the cost breakdown below. You can create a website for a small bakery, cafe’s, coffee shops, food blog, or shops selling cute products with WordPress. WordPress is the best way to create a website. WordPress is easy to install, easy to maintain, easy to create new posts, easy to update and easy to install and activate new WordPress Theme – Handmade. Handmade has beautiful galleries to showcase your dishes, advanced menu management, advertising management, Ecommerce capability, image resizing, sales analystics and more. Click here to see more features of Handmade. 1. $56 for Webhosting. To create your own Bakery Online Store Website, you will first need a domain name. That’s why I recommend Fatcow.com. When you purchase web hosting from Fatcow, you get a free domain name. Along with that you also get unlimited email, disk space, bandwidth, MySQL databases, host unlimited domains and more. Click here to immediately save 40% off at Fatcow.com. 3. $60 for WordPress Theme. This is a one time fee to purchase Handmade WordPress Theme from Obox Design. After you download the theme, it totally belongs to you. There are no subscription fees, no membership fees and no hidden fees. 4. -$175 in Advertising Credits. If you purchase your webhosting from Fatcow.com you get free $175 worth of advertising credits. Fatcow.com understands it’s difficult to advertise your Bakery Website and so they give you free advertising credits, this includes $100 for Google Adwords, $50 Facebook ads, and $25 for Yahoo/Bing. So you actually don’t pay anything to startup your Bakery Website. Handmade WordPress Theme to create your own online Bakery Website is a great deal. You can definitely use this them to create any type of handmade arts & crafts website like a coffee shop website, cupcake store website, cookie store website, truffle store website and more. 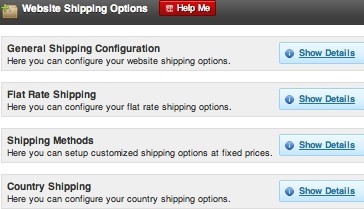 To get the online store working, you must download and install the WooCommerce plugin from WooThemes. WooCommerce plugin is completely free and will introduce all the amazing online store and Ecommerce functionality to your website. You will have reports for sales, reviews, stock levels, store and performances. You can customize any part of your online store. If you don’t want to have an online store, Handmade is perfect to create a food blog or creative portfolio. Check out the demo of Handmade. I think you will love this cute theme as well. News and magazine sites are popular and great to attract attention to your website. You can build a site like a Tech News site, Fashion mag site, Gossip Magazine site, World News Reports, Business News, Food Blog Site, Sports magazine, and more. You can easily create these sites with WordPress, WordPress Theme – Anchor. You don’t even need any programming knowledge and startup cost will be less than $100. I’ve listed the cost breakdown below. Anchor WordPress Theme has a fully responsive design, ecommerce ready, woo-commerce plugin installed, easily create an online store, scrolling featured articles, unlimited color options, fully customizable, and tons more features. Click here to see more features of Anchor. 1. $56 for Webhosting. To create your own News Magazine Website, you will first need a domain name. That’s why I recommend Fatcow.com. When you purchase web hosting from Fatcow, you get a free domain name. Along with that you also get unlimited email, disk space, bandwidth, MySQL databases, host unlimited domains and more. Click here to immediately save 40% off at Fatcow.com. 3. $65 for WordPress Theme. This is a one time fee to purchase Anchor WordPress Theme from Templatic. After you download the theme, it totally belongs to you. There are no subscription fees, no membership fees and no hidden fees. 4. -$175 in Advertising Credits. If you purchase your webhosting from Fatcow.com you get free $175 worth of advertising credits. Fatcow.com understands it’s difficult to advertise your News Magazine Website and so they give you free advertising credits, this includes $100 for Google Adwords, $50 Facebook ads, and $25 for Yahoo/Bing. So you actually don’t pay anything to startup your Elegant Magazine Website. This is an amazing WordPress Theme that is perfect for any occasion. It has a full responsive design so it will look great on smartphones and tablets. Anchor has one click auto installs so you can install this Magazine Theme with one click and it will look exactly like the demo site. The demo content is loaded as well so you can add your content more easily. The best part of this theme is that it is not just a news or magazine content site, but you can add your own online store and sell products and digital products with the WooCommerce plugin. 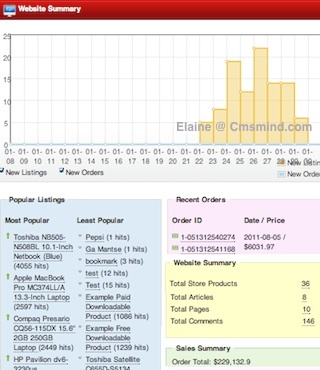 This is a great ecommerce plugin where you can track and manage online sales. You can easily create a site like Techcrunch.com, Mashable.com, PerezHilton.com, FinancialPost.com, TheStar.com, Vogue.com or any type of news magazine, or online store website. I definitely recommend you to use Anchor WordPress theme to create your News or Magazine Website. If you are an author or publisher you can create a website to promote your book and even sell your book online. Cost to make this website will be less than $100. I’ve listed the cost breakdown below. Use WordPress and WordPress Theme and you will have your book promotion website up in a day and no programming knowledge is reqiured. Ebook WordPress Theme features a responsive design, WooCommerce to allow people to buy & download your book online, display a summary of your book, display a free chapter for readers to read, display reviews, allow people to download a free sample of your book and more. Click here to see more features of eBook. 1. $56 for Webhosting. To create your own Book Promo Website you will first need a domain name. That’s why I recommend Fatcow.com. When you purchase web hosting from Fatcow, you get a free domain name. Along with that you also get unlimited email, disk space, bandwidth, MySQL databases, host unlimited domains and more. Click here to immediately save 40% off at Fatcow.com. 3. $65 for Wordpress Theme. This is a one time fee to purchase eBook WordPress Theme from Templatic. There are no hidden fees, no membership fees and no subscription fees. You also get one click installs. 4. -$175 in Advertising Credits. If you purchase your webhosting from Fatcow.com you get free $175 worth of advertising credits. Fatcow.com understands it’s difficult being a new online Book promo website and so they give you free advertising credits, this includes $100 for Google Adwords, $50 Facebook ads, and $25 for Yahoo/Bing. So you actually don’t pay anything to startup your Book Store / Book Promotion Site. This is a great WordPress Theme to promote your book. Leverage the power of Internet and get more sales. Create a quick, professional website for your book within minutes in WordPress using our strategically designed eBook theme, especially for Book authors. WooCommerce will also allow you to sell digital downloads of your books. You can demo the Responsive design of eBook by resizing the window. You will see the content wrap to the width of the screen. 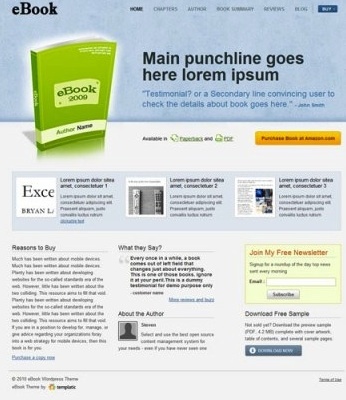 This is a great deal to use eBook WordPress theme to help you promote and sell your book online. Startup cost to create your own modern and responsive online store will be less than $100. I’ve listed the cost breakdown below. Use WordPress and WordPress Theme – Shoppica which will make your website easy to manage, easy to update and easy to maintain. 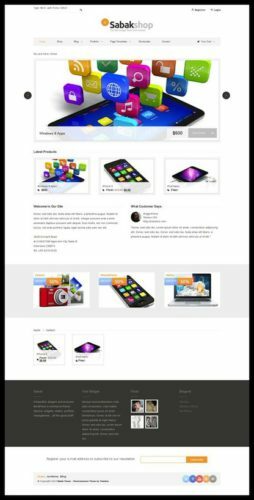 Ecommerce Template WordPress Theme Shoppica has a responsive design, unlimited colors, shopping cart, ratings & reviews and more. Click here to see more features of Shoppica. WordPress 3.3 / 3.4 / 3.5 compatible! 1. $56 for Webhosting. To create your own Online Store you will first need a domain name. That’s why I recommend Fatcow.com. When you purchase web hosting from Fatcow, you get a free domain name. Along with that you also get unlimited email, disk space, bandwidth, MySQL databases, host unlimited domains and more. Click here to immediately save 40% off at Fatcow.com. 3. $55 for WordPress Theme. This is a one time fee to purchase WordPress Ecommerce Theme – Shoppica. There are no hidden fees, no membership fees and no subscription fees. 4. -$175 in Advertising Credits. If you purchase your webhosting from Fatcow.com you get free $175 worth of advertising credits. Fatcow.com understands it’s difficult being a new business and so they give you free advertising credits, this includes $100 for Google Adwords, $50 Facebook ads, and $25 for Yahoo/Bing. This is a great modern online store template for WordPress. Shoppica is easily customized and has a great layout. The sliders on the front page are customizable and you can animate anything in those sliders. Below it you can add your featured products, items on sale, store locations and more. 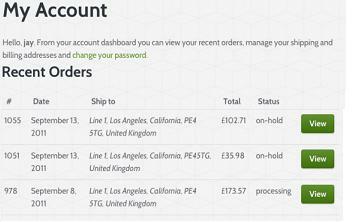 If the customer logs in they can see their order history, invoices, returns, purchase gift vouchers and more. You can have a link for affiliates, contact information, return info, shipping info and more. This is just a great WordPress Theme to create your online store. You can check out the demo and play around with it. Startup cost to create your own online store with WordPress and WordPress Theme – Musica is less than $100. I’ve listed the cost breakdown below. Musica is a responsive WordPress Theme that uses Woo Commerce Plugins to create a versatile online store with many layout options and multiple color variations. Musica has a powerful Administrator panel that provides tons of options to manage and modify any aspect of the theme. This theme is perfect for those who are beginners with no coding knowledge and for professionals. You can use this WordPress Theme to create an online store for digital downloads, software downloads, game review, game software downloads, physical product store, shoe store, flower store, photography download store, camera store and more. Click here to see more features of Ecommerce Template – Musica. 70 shortcodes with easy shortcode generator. 3. $55 for WordPress Theme. This is a one time fee to purchase Wordpress Ecommerce Theme – Musica. There are no hidden fees, no membership fees and no subscription fees. I think this is a great deal because this is a great Ecommerce Template to create an online store. This WordPress theme has tons of features and I particularly love that the theme looks modern and fresh. The front page image sliders bring focus to feature products you want to sell and below you can list products that are new arrivals or on sale. You can also display top rated products based on user reviews and star ratings given on the product review page. I checked too that this theme supports physical and digital downloads so this is perfect if you want to sell mp3s, software, gaming software, photo store and more. I highly recommend this WordPress Theme if you want to create your own online store. Cost to build your own online store with Joomla 3.0 Template is less than $100. I’ve listed the cost breakdown below. Joomla 3.0 Template – General Commerce is a responsive Joomla template a great design for any store or corporate style website. This Joomla 3.0 Template is very flexible – If you are building an ecommerce website you can simply plugin a store component; If you need a plain corporate style layout, no problem the design is also great for this. The design also includes a custom highlight color and an optional top background image for pages that don’t have the Image and Content Fader or similar module published. Click here to see more features of General Commerce. 1. $56 for Webhosting. First step to build your own online store is to purchase a domain name and then webhosting. Fatcow offers a free domain name with purchase of webhosting. Right there, that’s a savings of $12/year. If you purchase web hosting from Fatcow.com, you also get unlimited emails, unlimited bandwidth, unlimited MySQL databases and more. Right now Fatcow has a 40% off sale, I would take advantage of this now. Click here for more details about Fatcow.com. 2. $0 for Joomla 3.0. Joomla 3.0 is an open source and totally free. You can download it from joomla.org. 3. $49.99 for Joomla 3.0 Template. This is a one time fee to join Shape5 two month membership. You can download as many Joomla Templates as you want including General Commerce. Once you download the template, it totally belongs to you. There are no additional subscription fees, and no hidden fees. 4. -$175 in Advertising Credits. Fatcow understands it’s difficult to get your Online Store noticed and helps you with advertising your website on respective search engines and social networking platforms. So Fatcow gives you for free $100 in Google Adwords credits, $50 in Facebook Ad credits and $25 in Yahoo/Bing Adcenter credits. Basically you don’t pay any startup costs to create your own Online Store. This is a great deal ecommerce template to create your own online store. It’s highly customizable and with the flexible design you can have any layout you want. I love that this Joomla 3.0 Template has 93 module positions and mobile support. It’s great that the image slider overlays the logo, title and social media icons to have more of a flow within the website. This is a great Joomla 3.0 to create your online store business. Play around with the demo and you will see what I mean. 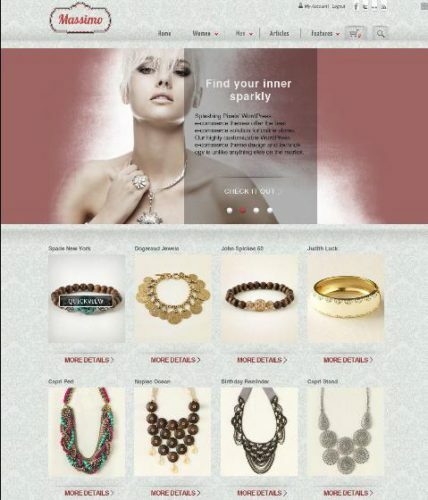 Cost to build your own online store that is inspired by Pinterest will cost less than $100. I’ve listed the cost breakdown below. I recommend you use WordPress and WordPress Themes. 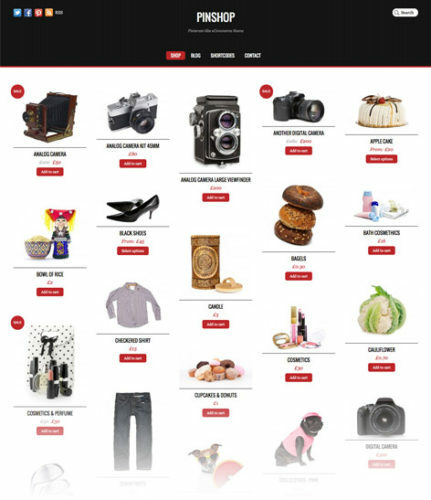 Pinshop is an ecommerce WordPress theme that is inspired by the Pinterest site and the popular Pinboard theme. Products load infinitely as you scroll down the page. Not only does it look fantastic, but it also provides a great user experience. Buyers can take a complete overview of all products without having to jump around the pages. When the page is resized, it automatically re-positions the products. The shop items can be added to the cart instantly without having to go to the product page. All these features work consistently on all modern browsers on both desktop and mobile devices. It also has a Ratings & Reviews so buyers can leave comments and star ratings for products. Click here to see more features of Pinshop. 1. $56 for Webhosting. First step to create your own Online Store is to purchase a domain name. But these days you can purchase the domain name and web hosting together to save costs. If you purchase web hosting from Fatcow.com, you get a free domain name, unlimited emails, unlimited bandwidth, unlimited MySQL databases and more. Right now Fatcow has a 40% off sale, I would take advantage of this now. Click here for more details about Fatcow.com. 2. $0 for Wordpress. WordPress is an open source and totally free. Fatcow has one click installs for WordPress installations. 3. $39 for WordPress Theme. This is a one time fee to purchase Pinshop from Themify. There are no membership fees, no hidden fees and no subscription fees. In addition if you purchase a theme from Themify, you get to download another theme for free. 4. -$175 in Advertising Credits. Fatcow understands it’s difficult to get your Online Store visible and helps you with advertising your website on respective search engines and social networking platforms. So Fatcow gives you for free $100 in Google Adwords credits, $50 in Facebook Ad credits and $25 in Yahoo/Bing Adcenter credits. This is a great way to create your own online store. You should definitely check out the demo to see this Pinterest-inspired online store in action. You will see featured products on a slider at the top and products listed below. As you scroll down to the bottom of the page, more products will automatically appear without you having to click on the next page. You can choose to add item directly to your shopping cart or open it and see more details about it. You can add star ratings and reviews, see related products, see top rated products and more. I totally love this Online Store WordPress Theme. Startup cost to make your own online store will be less than $100. You can get your online store website framework up and running in a day for you to start adding products. WordPress and WordPress Theme Cool Cart allows you to quickly get your store setup so you can start adding your products and make money. Cool Cart from Templatic offers one-click auto installs which will install WordPress and WordPress Theme in one click. 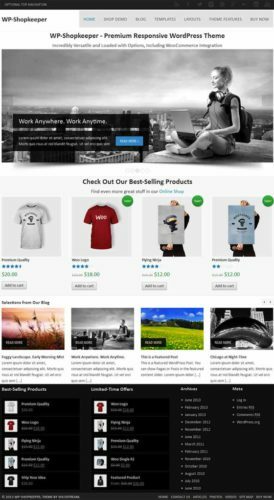 This WordPress Theme also includes features such as a Responsive layout, Dozens of payment gateways, Detailed sales reports, Details instock reports, Multiple layouts, button to add items to cart, Scrolling featured items, Show Sale items, Show cart total, tons of banner advertising space, Ability to add multiple items to cart, Show Featured products and more. Click here to see more features of Cool Cart. 1. $56 for Webhosting. First step to create an Online Store Website is to purchase a domain name. But nowadays you can get the domain name and web hosting together to save some costs. If you purchase web hosting from Fatcow.com, you get a free domain name, unlimited emails, unlimited bandwidth, unlimited MySQL databases and more. Right now Fatcow has a 40% off sale, I would take advantage of this now. Click here for more details about Fatcow.com. 2. $0 for WordPress. WordPress is an open source CMS and totally free. Fatcow has one click installs for WordPress installations. 3. $65 for WordPress Theme. This is a one time fee to purchase Cool Cart from Templatic. There are no hidden fees or subscriptions fees. 4. -$175 in Advertising Credits. Fatcow understands it’s difficult to get your store visible and helps you with advertising your website on respective search engines and social networking platforms. So Fatcow gives you for free $100 in Google Adwords credits, $50 in Facebook Ad credits and $25 in Yahoo/Bing Adcenter credits. I think this is a great deal to make your own online store. I played around with the Cool Cart shopping cart and started adding items and removing items from my shopping cart. Everything was very easy to use and fast. The checkout process is easy to use and follow. There are tons of advertisement space to place Google adsense ads or other company banner ads. When I looked at a product I can see the product Reviews with customer feedback. Customers can rate the product with stars and also leave a comment about the product. The theme also shows related products to the product page I’m on. Overall I think this is a great Ecommerce template to create your own Online store. You should check out the demo and play around with it. It is quite complicated to create your own online store, with enhanced security for payments, managing product categories, country tax rates, shipping costs, generating sales reports and more. 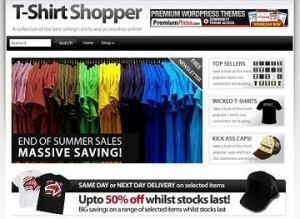 Wordpress eCommerce solution – ShopperPress has this all packaged for you and ready to be used. You just need to install and activate. You will need to customize your store, like add all the relevant store and product information, but does not require you to know any HTML or programming skills. The cost to create your own online store will be less than $200. Click here to see more features of ShopperPress. Many secure payment options – Paypal, Bank Transfer, Authorize.net, eWay, Worldpay, Google Checkout and more. 1. $56 for Webhosting. You need a domain name to have a website online. That’s why I recommend Fatcow.com. Fatcow.com gives you a free domain name, unlimited disk space, unlimited bandwidth, unlimited emails, unlimited MySQL databases and more. Right now Fatcow.com has a 40% off sale, I would take advantage of this sale. 2. $0 for WordPress. Fatcow.com one click installs for WordPress. It’s totally free and easy to use. You will literally have WordPress installed in minutes. 4. -$150 in Advertising Credits. Fatcow.com understands there is tough competition in an online business. That’s why Fatcow.com gives you free advertising credits to market your website on respective search engines and social networking platforms. This includes $75 in Google Adwords, $50 in Facebook Ads and $25 in Yahoo/Bing Adcenter Credits. So basically it won’t cost you anything to startup your online store. I think this is a great way to start your online business. You should at least demo the frontend of ShopperPress and also make sure to check out the admin section of ShopperPress. You can see the ease of managing the products, orders and shipments. Whoever said the best things in life are free – is right! Now you can create an ecommerce Website for free with WordPress theme – Wootique. I checked out this theme and everything about it is FREE. It has tons of features to customize such as reporting, shipping, tax, products, inventory, marketing, promos, payment gateways, themes and more.If you need to create an amazing and flexible and secure Ecommerce online shopping cart, Wootique is the best free WordPress theme available. Overall I believe this is a great ecommerce template to help you create your own online store. Wootique has all the functionalities of an ecommerce online store and fully secure payment gateways. It will only take you a few minutes to have your WordPress and WordPress Theme installed and activated. All you have to do is download their free eCommerce plugin and activate that as well in your WordPress plugins page. Building an online store with WordPress is very simple. If you download and install this premium WordPress template you will have a fully functional online store in a day. After that you can start adding your products. With Massimo premium WordPress template you can create an elegant, luxury store without spending too much money. The template is extremely affordable and below I will detail the cost to create an online store. Custom 3 step checkout – 1. Show shopping cart (option to remove/add items), 2. Customer sign in/register and include shipping costs, 3. Final and Confirm purchase. 1. $56 for Webhosting. To create a website you need to purchase a domain name and webhosting. I recommend Fatcow.com. WithFatcow.com you get webhosting plus you get a free domain name. You also get unlimited disk space, bandwidth, emails, MYSQL databases and host unlimited domains. Click here for more details about Fatcow.com. 2. $0 for WordPress. WordPress is completely free. You can download WordPress from WordPress.org to try it out. 3. $119 for WordPress Template. This is a one time fee to purchase Massimo by SplashingPixels. After purchase the theme belongs to you and there is no membership fees. 4. -$150 Advertising Credits. If you purchase your webhosting from Fatcow.com, they give you free advertising money. $75 for Google adwords, $25 for Bing/Yahoo Adcenter, and $50 for Facebook ads. So in total you will spend (Webhosting + WordPress + WordPress Template) = $175 to create your online store. But if you include the free advertising credits you get with Fatcow.com, (Website cost + Advertising Credits) = $25. I think this is a great deal. If you need help to install or build your ecommerce website, feel free to contact me for a quote. Can set up the store to sell digital downloads or tangible goods. Can make a website like Netflix for movie downloads, Software downloads. Can make a website to sell products or services. 1. $56 Webhosting – You need a domain name and a web hosting service and Fatcow.com will give you both. The cost of the webhosting includes a free domain name, unlimited email addresses, unlimited space, unlimited MYSQL databases, unlimited bandwidth and more. BTW fatcow.com is having a 40% off sale, so I don’t know how long the webhosting price will remain at $56. Check out Fatcow.com here. 2. $0 WordPress. WordPress is free! This is an open source software and anyone can use or make modifications to it. There is a whole user community developing plugins for free too. If you want to download wordpress, it’s available at wordpress.org. 3. $65 WordPress Template. This is a one time fee for the Store Front WordPress template. After that the template is yours forever. You don’t need to pay any monthly fees or anything. There is online support for all the templates they have. So if you ever run into any snags you can contact them, or submit questions to an online forum. This Store Front Templatic template has all the functionality of an ecommerce website. Once installed you can start adding products. Check out the Store Front Template here. 4. $150 Advertising Credits. An important part of getting your website known is advertising. If you got your webhosting from Fatcow.com, you also get $75 worth of Google Adwords credits, $50 worth of Facebook advertising credits and $25 worth of advertising credits for Bing. So after adding everything together – Webhosting + WordPress + WordPress theme = $121. If you add in the advertising credits, ($121 – $150) You actually not paying anything for your website!! Is that for real?? Yes! I wouldn’t lie. Besides I used a calculator and double checked the prices. Starting up your own business online can be exciting and fustrating at the same time. If you are tech savvy this could be an easy job, but for most of us the task of building an e-commerce store for a business is a little daunting. The best way to create an ecommerce online store is to use WordPress and install Premium WordPress Theme – ShopperPress by PremiumPress. Click here for more details. 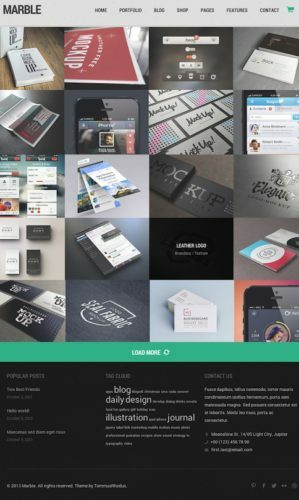 30+ different template designs to choose from. All the ShopperPress theme designs are professional, elegant and unique, they each have their own little flair. You can use the ShopperPress wordpress template to build anything from an online baby store, online flower store, online clothes/costume store, online pet supply store, to even an online electronics store. On top of that, WordPress is so easy to use and maintain. Click here for a demo. Click here to download.